Or call 0330 0882267 to book / just walk-in. Pricing is for 1 hour jump time. 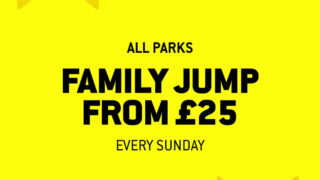 All children aged 5 years and under must be accompanied onto the trampolines by a paying adult.